Miami Car Accident Lawyer | Florida Auto Injury Attorneys Gerson & Schwartz, P.A. Contact Coral Gables Car Accident Attorney Gerson & Schwartz, P.A. Every personal injury law firm has experience handling car accident and motor vehicle collisions. We do too. Ours span over 49 years with significant results at both the trial and appellate levels. Every car accident lawyer in our firm has successfully represented injured drivers and passengers in every imaginable car accident scenario. From head-on collisions, rear-end collisions, motorcycle crashes, drunk driving accidents, hit and runs, pedestrian accidents, bicycle accidents, accidents with Uber and Lyft vehicles even uninsured and under-insured motor vehicle accident claims. Our lawyers also handle complex car accident cases involving insurance coverage disputes and product liability claims such as defective design and automobile manufacturing defects. The Miami car accident lawyers at Gerson & Schwartz, PA are also at the forefront of technology in creative use of video, animated, accident reconstruction and computer graphics. Our firm's use of advanced technology is just one of the methods we use to bring about just and successful outcomes for auto, car, and other motor vehicle accident claims. Our message is powerful and effective. We strive to obtain maximum case results for all our clients and will pursue all legal remedies on their behalf. If you or a loved one were injured in a car accident in Miami then don't delay. Contact a personal injury attorney at Gerson & Schwartz today. Our lawyers will fight to enforce your legal rights. We also won't hesitate to bring your case to trial before a jury if a fair settlement offer is not made. Your case will be tried quickly in court if we are hired to be your attorneys. Car accidents are one of the leading causes of injury and death in Florida. According to the National Highway Traffic Safety Administration, accident fatalities increased by more than 7% in 2012. This represented the largest annual increase in the number of highway accident fatalities since the government started recording this statistical data in 1975. The most recent data from the National Highway Traffic Safety Administration reported 37,461 fatal car accidents on U.S roadways in 2016. 10,497 crashes were due to drunk driving and 3,450 fatalities were due to distracted driving. According to Florida Traffic Crash Statistics published by the Florida Department of Highway Safety and Motor Vehicles there were 395,785 car accidents on Florida roadways in 2016, which represented a 5% increase from 2015. A total of 64,070 car accidents were reported in Miami-Dade and 33,400 of those collisions had reported injuries. Four of the top five deadliest highways in the United States are located in Florida. The Miami, Florida stretch of US 1 is the number one deadliest highway in the United States with over 1,079 related deaths in the last 10 years. Second on the list is US 41 located in Tampa. State Road 826 also known as the Palmetto Expressway is located in Miami, Florida is the third deadliest highway for fatal car accidents in the United States. Rounding out the top five deadliest highways in the United States is US 27 with reports of 520 fatal crashes reported according to the Federal Highway Administration. Other notable deadly highways located in Miami are Interstate I-75 (30th) and Interstate I-95 (66th). Car accidents can cause a wide range of complex injuries and medical conditions. Common injuries include fractures, broken bones and other serious injuries to the cervical, lumbar, or thoracic spine surgical repair. Some of the most common injuries occur to the neck and back. In medical terminology, the location of neck and back injuries are referred to as the cervical, lumbar, and thoracic spine. Sometimes injuries are serious enough and may require surgical repair. High speed collisions, accidents with pedestrians, motorcycle accidents, and drunk driving accident cases often result in severe or even catastrophic injuries such as a traumatic brain injury, closed head injury, spinal cord injury, paralysis, and in some cases wrongful death. Over the years, we have seen many unfortunate injury cases, but our Miami car accident attorneys have also been able to help our client's get justice too. Many large personal injury law firms that "specialize" in car accident cases simply look at the owner/driver's insurance coverage and turn down severely injured accident victims without more. At Gerson & Schwartz, we welcome inquiries from serious injury and death cases where other car accident lawyers and attorneys in Miami have superficially looked at and said "No". In many cases, we have succeeded in finding financially responsible persons and other organizations based on vicarious liability. That means money for compensation can be obtained from corporations, employers, partnerships, and independent contractors. Likewise, hazards on public roadways, construction sites, and other negligent business operations can also create needles dangers leading to auto accidents and motor vehicle collisions. Liability which is not obvious can sometimes be found from third parties based on contracts or just by a prior commitment the injured victim didn't know about. These are all important considerations our car accident lawyers in Miami analyze in every case. If we are hired to be your attorneys, we will gather all evidence needed to support your case in court. All potential evidence will be investigated and preserved in order to maximize the full amount of compensation which Florida law permits. To be eligible for compensation from a driver who caused a crash, injury victims need to show that driver was negligent. This means a failure to drive safely. Every motor vehicle operator has a legal duty to drive with reasonable care and in a way that does not put others at risk of injury. The harmful conduct does not need to be intentional. You can win in court by proving distracted driving by someone who was texting behind the wheel, driving while intoxicated, or simply violated well known traffic laws such as speeding, failing to yield to the right of way, or disregarding a traffic signal resulting in an accident. Under Florida's Dangerous Instrumentality Doctrine, vehicle owners are also legally responsible for damages caused by their motor vehicles even if they were not driving. Car accident characteristics such as time, speed, and distance are all important facts to prove negligence of another. Therefore, witness accounts and their observations are important and must be documented as soon as possible. Proving that you have a permanent injury must also be supported by objective medical evidence and is an important legal threshold that needs to be proven under Florida law. If we are retained to represent you, our attorneys will gather all evidence that is needed to support your case. All potential evidence will be preserved in order to maximize the full amount of compensation which the law permits. Florida is also a "comparative negligence" state. This means that more than one driver can be negligent at the same time. This is a common legal defense which if proven can reduce an injured victims recovery at trial. For these reasons, you need an experienced advocate to ensure the success of your claim. In situations where legal liability or driver negligence is difficult to defend insurance companies may argue the accident was a low impact collision or that the bodily injuries sustained were pre-existing or unrelated. If hired to represent you our car accident lawyers and attorneys in Miami will use all resources available to combat these common negligence defenses. 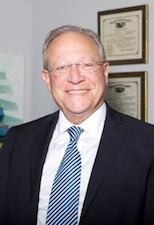 Gerson & Schwartz, PA is an AV rated personal injury law firm that only specializes representing accident victims and their families in Miami, Florida and other areas in South Florida for over 49 years. Our personal injury law firm consists of Florida board certified trial attorneys who have litigated over 350 jury trials over the last four decades. We have successfully represented injured clients in car crash cases against every auto insurance carrier including, State Farm, Geico, Allstate, Progressive, Nationwide, James River, USAA, and many others. Our personal injury law firm is also known for our commitment to our clients and for being effective trial lawyers. When our injured clients ask for an accident lawyer near me, we are there. Each of our client's cases are presented in court in convincing and compelling fashion. Often, this takes countless hours of hard work and considerable financial investment. The proof of our successes can be found in our many jury verdicts, news publications, and out of court settlements. Our firm is also frequently retained by many other attorneys in the state of Florida and across the nation based on our reputation in the legal community. Insurance companies have their own lawyers and so should you. Don't be led to believe that an insurance company representative is going to resolve your claim for the full case value unless you are represented by an experienced attorney in Miami that has experience handling car accident cases. Car accident victims in Miami and certain family members must be aware that Florida has time limitations for all types of lawsuits and injury claims. These are referred to as statutes of limitations. Who is at fault, or the identity of a negligent party will affect the time injury victims have to file a lawsuit in court. Failure to act within these specific time frames can legally bar an injury victims and certain family members right to relief. Statutes of limitations are different for car accidents between individuals or with vehicles which are owned or operated by local, state, county, or other governmental entities and their employees. Other time limitations may vary depending on the type of claim that is being presented. 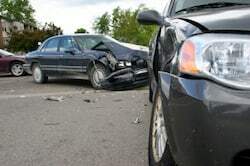 Statutes of limitations for car accidents based on an auto manufacturing or design defect are different than a crash involving a negligent driver resulting in wrongful death. Accident victims are entitled to recover financial compensation for the consequences of their injuries. These are commonly referred to as damages. Damages include financial compensation for past and future medical care, such as expenses from the initial hospitalization, emergency room care, diagnostic tests, and other reasonably related medical expenses such as physical therapy and surgery. Severe injury victims and certain family members in the event of a fatal car crash may also recover for their pain and suffering such as the loss of enjoyment of life and for psychological and emotional harms. We understand how a crash or a catastrophic injury changes a victim's life forever. Knowing what the needs will be for spinal cord injuries, brain trauma, scarring, disfigurement, burns, and other life changing injuries enable us to guide our client's along the path to medical, occupational and social recovery. All members of our legal team are trained to understand the legal hurdles and real life challenges serious injury victims face. Our approach is to sue first and talk later. We believe that lawsuits promote settlement discussions. In all of our cases, we work quickly to identify all responsible parties, explore all potential theories of legal liability and uncover all sources of financial responsibility. We also act fast to investigate the case facts and research the applicable law. Our firm also works closely with local law enforcement and the State Attorney's offices in drunk driving accidents and other clients that are serious or catastrophically injured due to the criminal acts of third parties. We also employ experienced investigators and utilize leading experts in accident reconstruction and other technical and medical specialties to help prove our client's cases in court. After an accident you may find yourself inundated with letters and other correspondence from insurance companies and bill collectors. We deal with these companies so you don't have to. It's also common for insurance company adjusters to contact injury victims to discuss the facts of the case and inquire about their injuries. They may even try to take a recorded statement. We advise all accident victims to speak to an experienced car accident lawyer in Miami before speaking any insurance company representative that may be looking out for the interests of a negligent party. When a serious injury or catastrophic car accident changes the life of another, the careful selection of an attorney that has successfully represented other sever car accident victims is critical. Remember that when deciding on your Miami car accident attorney upon whom you will be depending on for justice. First call for help. Seek immediate medical care and follow up with your physicians. Then stay calm, take pictures, take audio, and video. In today's technological world almost everyone has a cell phone that can do all three. Document skid marks, road debris, and property damage. You should try and document events before vehicles are moved, before victims are taken out of their vehicles and before other drivers try to cover up what they did. Be sure to document any landmarks which can be reference points later. Don't just create close ups. You should not only take photographs of your vehicle but also document damage to other vehicles in the accident, even if the other vehicles were only incidental to the collision. Take photographs of damage to both vehicles, obtain names and contact information of all potential witnesses and if possible even obtain a written statement. Get license tags and names and other contact information of other drivers and copies of other eyewitness photos too. Digital data recording is free so you can't overdo it. Send the data to us by email at info@gslawusa.com when you call for our advice and it will make it easier for us to understand what you are trying to explain after a stressful event. After an accident, you should also contact your own insurance company and report the claim right away. For a Free Consultation Contact Us Today at (305) 371-6000 or email us at info@gslawusa.com. Whether a routine car accident or catastrophic injury claim our Miami, Florida personal injury law firm is here to help. If you or a loved one have been seriously injured in a car accident don't wait. Contact a Miami car accident lawyer at Gerson & Schwartz, PA today. All case calls are kept confidential. Or, you can email one of our lawyers directly by sending an email to info@gslawusa.com. By hiring a qualified lawyer, you will be taking an important step to ensure your legal rights are protected. Se Habla Español.